NRC Awards – Nominations Due June 30, 2017 at 5pm EST! Help Develop a Zero Wasting Plan for California! California is leading the world in fighting climate change and modeling a sustainable future. Help keep that leadership going by taking part in the development of a Zero Wasting Plan for California! Zero Waste Planning Checklist (Policies, Programs & Facilities to achieve Zero Waste). 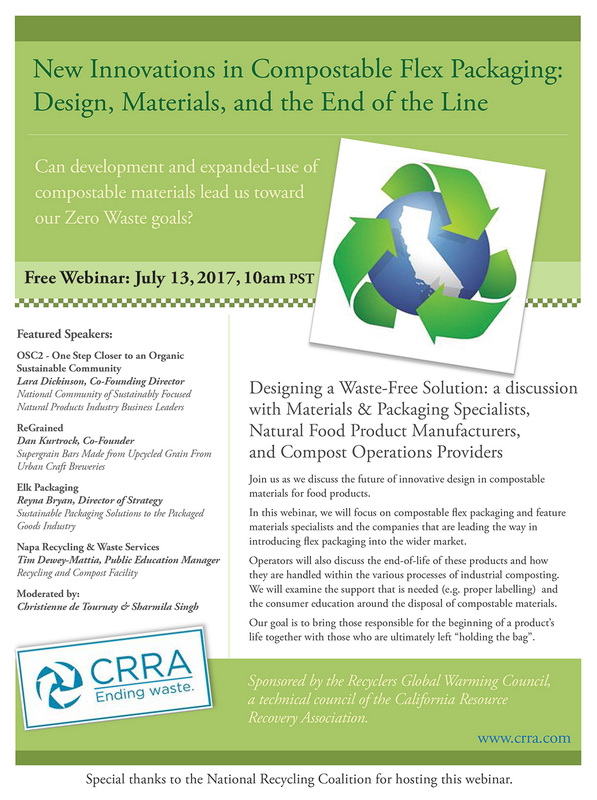 Hear what CRRA Technical Councils are recommending to include in the Zero Wasting Plan. Offer your own suggestions to make sure the Plan addresses your vision of what CA should be striving for to achieve Zero Wasting. 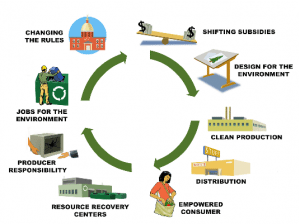 Effective materials management is key to the resilience and beauty of any community, but many municipalities have yet to tap the numerous social, environmental, and economic benefits of recycling organic materials. By collecting food scraps and landscape trimmings, these materials can be transformed into a valuable resource through the process of composting. 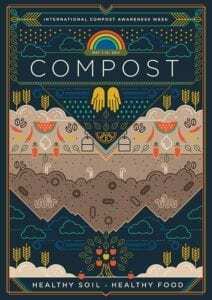 The final product is compost, a nutrient-rich soil amendment which can be cycled back into the community to improve residential gardens, municipal landscaping, and agricultural lands. It can also be used for other DPW purposes such as erosion control. A limited number of scholarships are being awarded to college and university students in the Twin Cities area through the National Recycling Coalition (NRC). The Murray J. Fox Scholarship Fund was created in 1994, when Murray Fox, a long-time supporter and member of the NRC, started a fund to provide scholarships to college students interested in recycling. Since then, the trust fund has endowed over $112,000 in scholarships to 66 college students. This year, in addition to scholarships, recipients will receive complementary admission to the Resource Recycling Conference in Minneapolis, 8/28-30/2017 as well as a one-year membership to the Coalition. To learn more about Murray and his amazing contribution to recycling and young people, read his bio here.